The proposed site is situated in the middle of the Arsenal Eco-district, which will be built on old industrial brownfield sites and be integrated into a residential urban fabric consisting of detached houses and small apartment blocks, south of Mont Valérien. Because of its situation on the edge of the central square of the Eco-district, surrounded by existing or projected cultural facilities (Budokan Atrium, OTAN Hall, Avant-Scène), the project will contribute to animating the district socially and commercially, as well as defining its urban and architectural identity, enhanced by leafy, pedestrianised public spaces leading to the site. At the moment, the Eco-district is only served by bus, but its accessibility will be improved in 2030 with the arrival of the Grand Paris Express line 15, whose station will be sited on the way into the district. 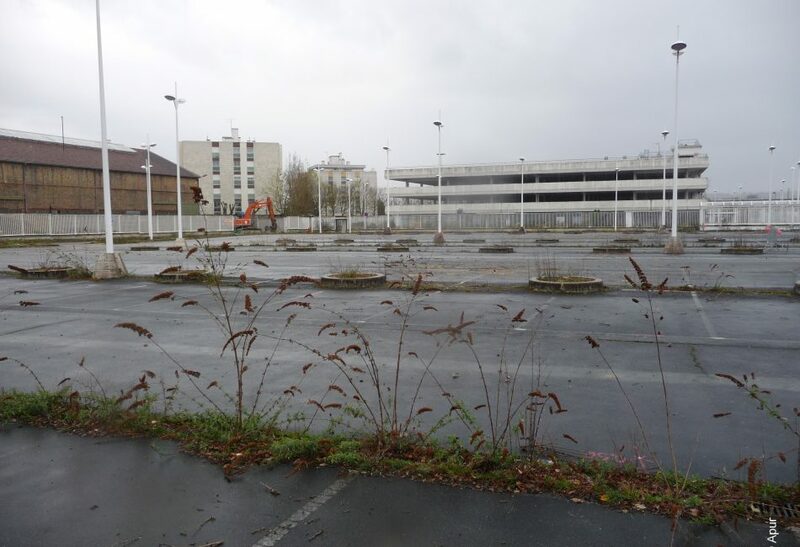 Former Renault building to be demolished by the SPLA.